After reading a book by watercolorist Nita Engle, I decided to try an experiment using foam and watercolor to create a foam texture. 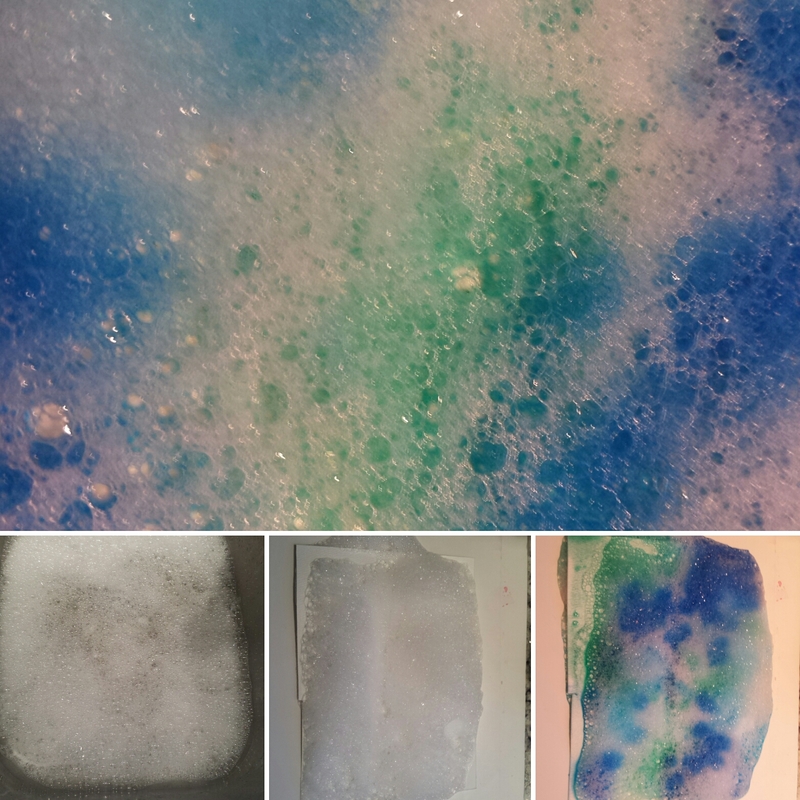 I agitated a mixture of cheap shampoo and dish soap in the kitchen sink, then took a small piece of Arches 140 lb cold press watercolor paper and lifted the foam off the top. 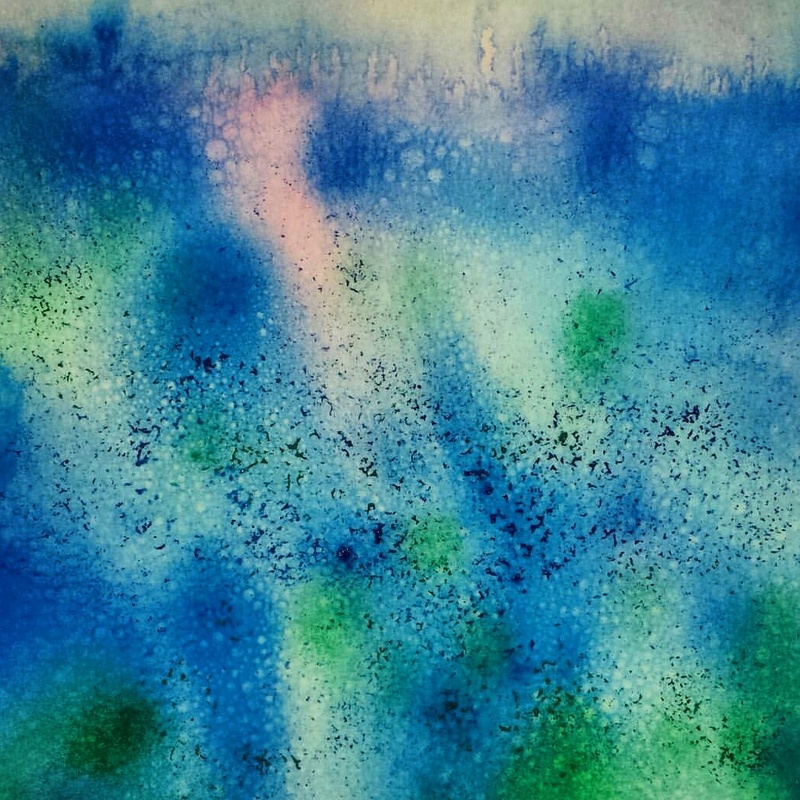 I added a small amount of watercolor from the tube to several small containers, then dissolved them completely in a small amount of water. 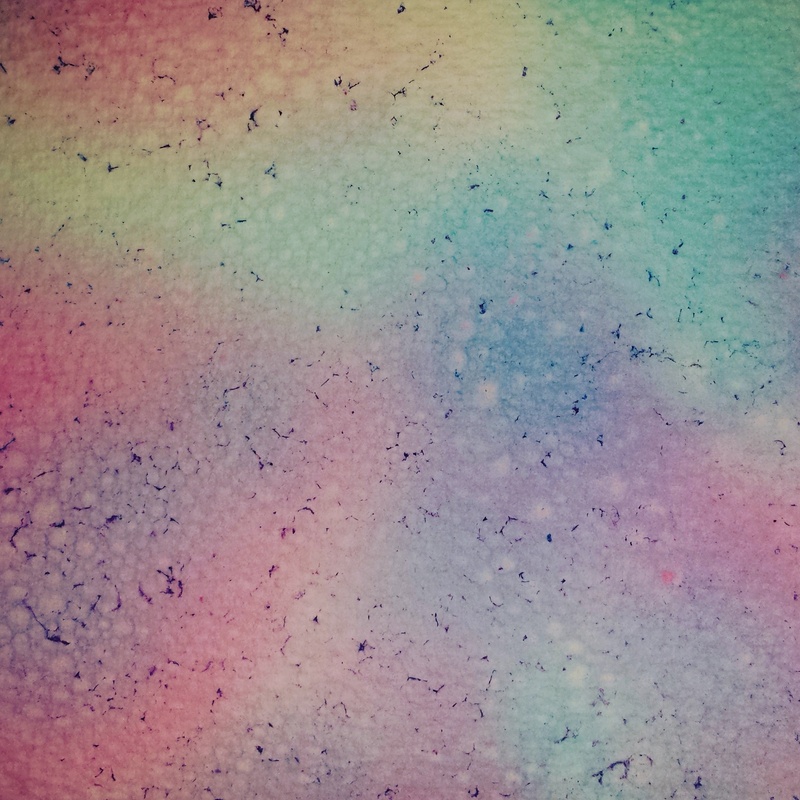 Using a straw, I then dropped areas of color onto the foam, then left it alone to dry for the rest of the day. The end result was pretty neat. Light, foamy texture. Subtle, but I am pleased with the results. I’d like to find a way to create larger bubble textures sometime. This would be great, with those colors, trying to do a water scene. I can’t wait to try it. It’s so fun! I tried it on a 300 lb and a synthetic paper, too, but it turned out best on 140 lb cold press. In Nita Engle’s book, she did it on a hot press, and it looked much better! I’m going to do it again with my daughter on a sheet of hot press. I’m just getting in to ‘art’ and I am so enjoying it. 🙂 And this looks like it would be a great ‘part’ of an image.